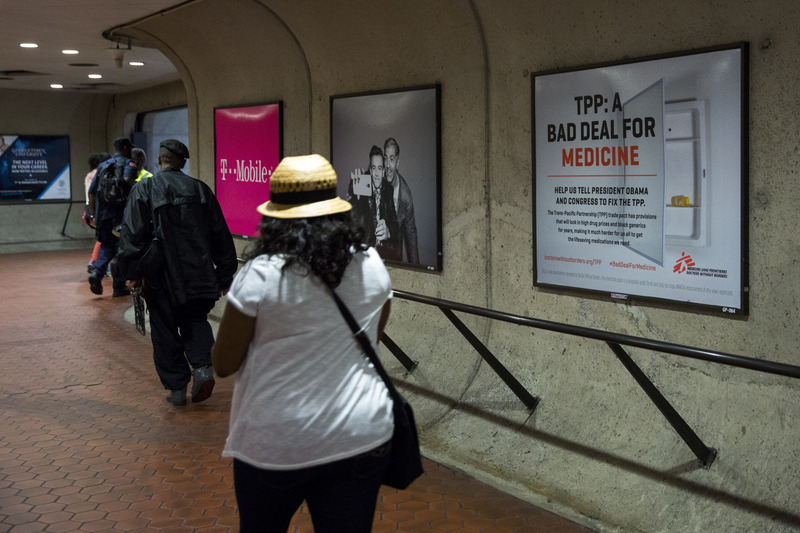 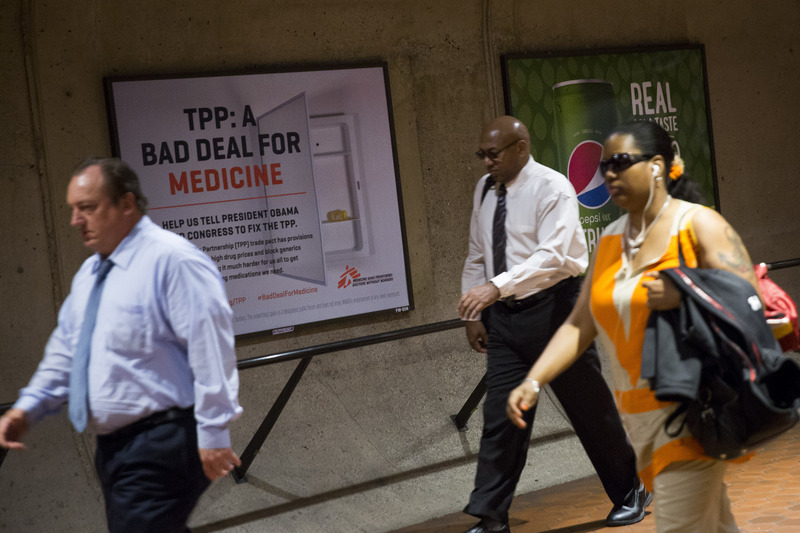 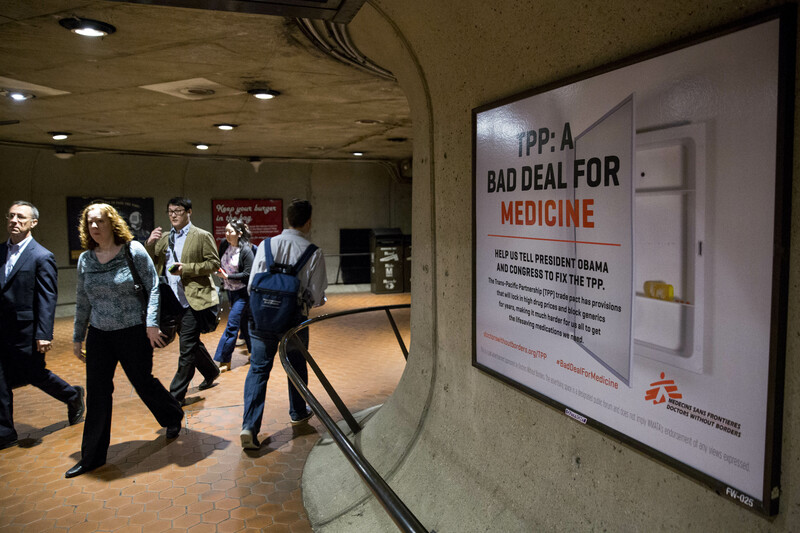 The Access Campaign first warned in 2011 that the Trans-Pacific Partnership agreement - a trade deal among Pacific Rim countries - could severely limit access to tools our doctors need to deliver quality care. 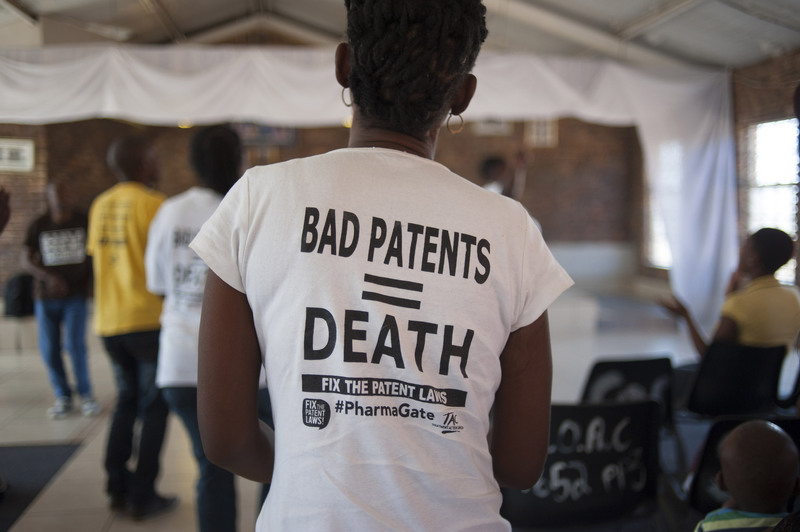 The agreement contained intellectual property provisions that threatened to create new drug monopolies and cut people off from life-saving medicines. 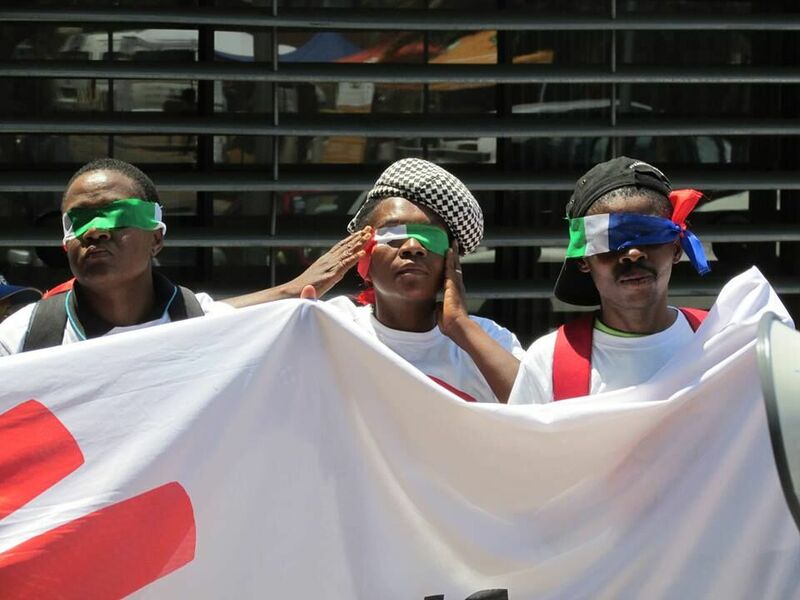 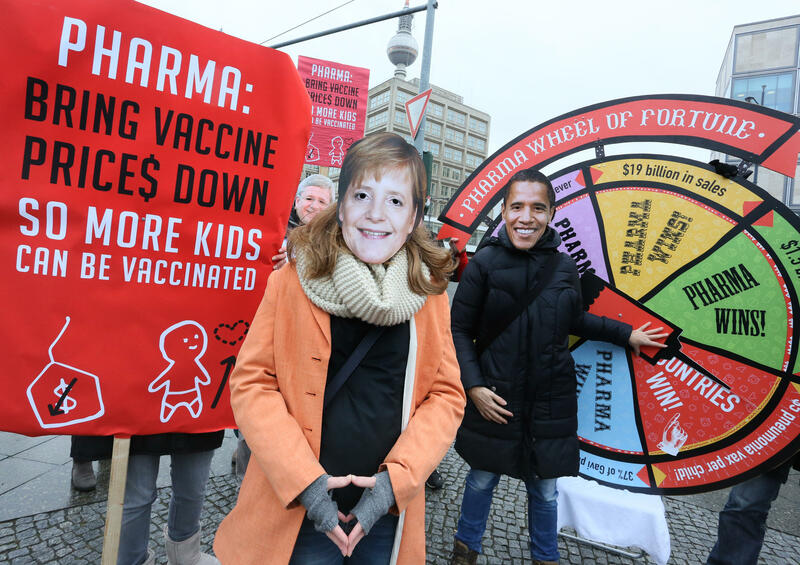 Public pressure from our supporters and behind-the-scenes advocacy by Access Campaign staff helped lead governments to reject the agreement’s most harmful components. 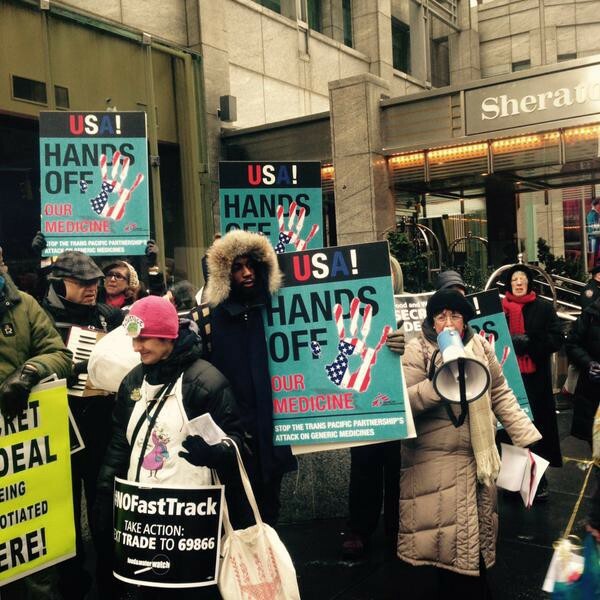 Countless meetings with legislators, protests in the streets from New York to Washington DC and Maui, plus an airplane ad banner flown over the Hudson River in New York City, were among the activities that helped us and others succeed. 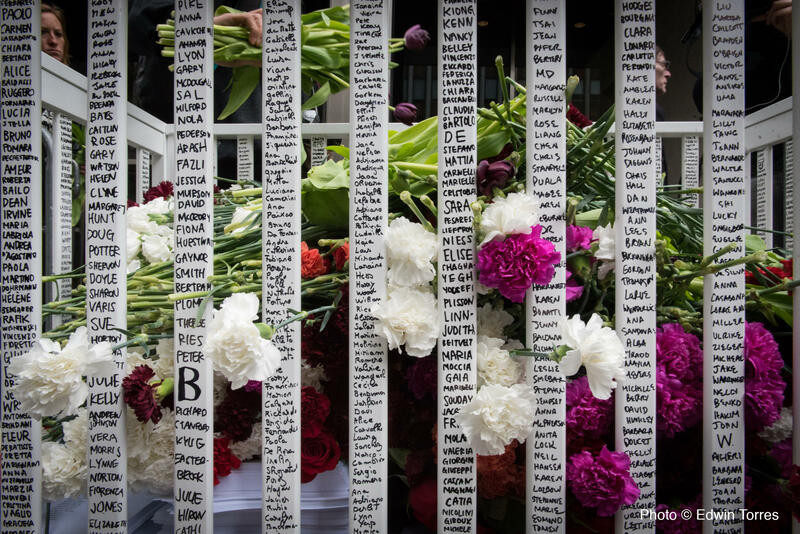 By 2017, the US government had withdrawn from the deal, and ministers from the remaining eleven countries suspended many of the worst provisions in the agreement, stopping a potential barrier to access for millions of people. 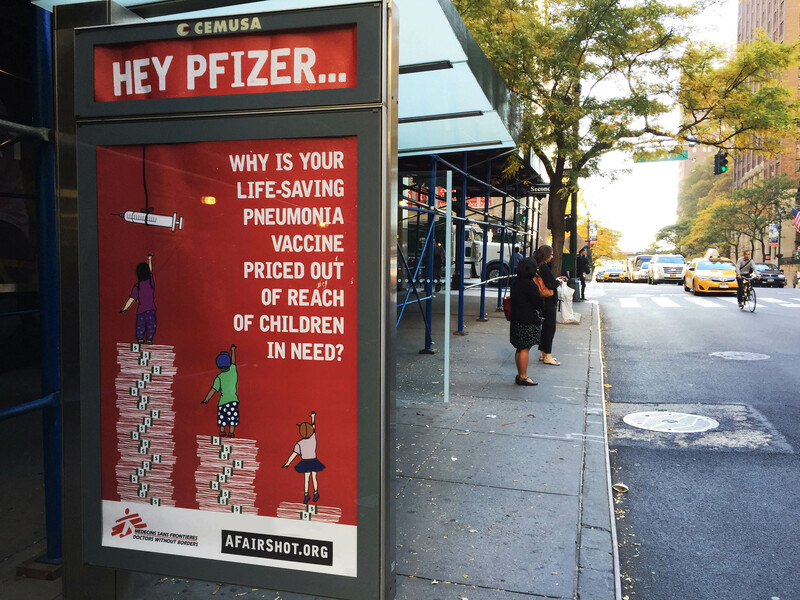 Pfizer and GlaxoSmithKline are the only two producers of the pneumonia vaccine (PCV), and their duopoly status allows them to charge very high prices. 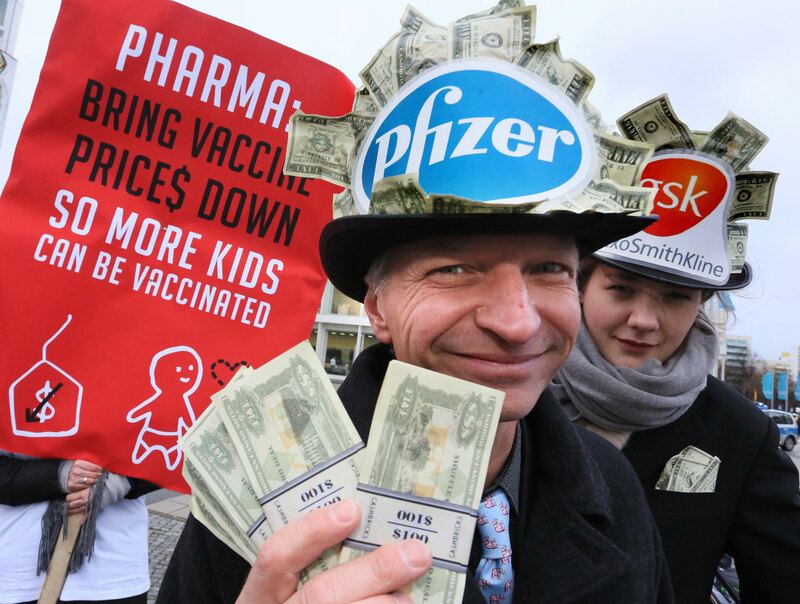 Many governments can’t afford it, but the vaccine is very profitable for the two corporations, and they don’t want to drop the price. 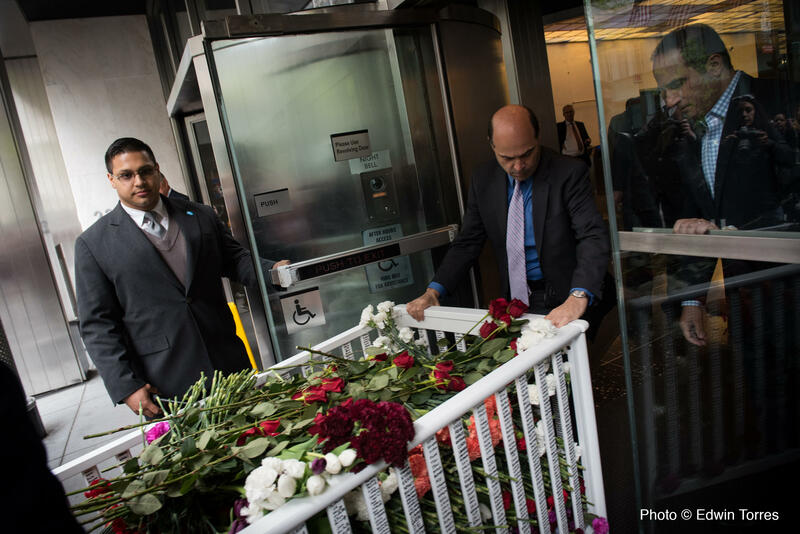 Nearly a million children die of pneumonia every year. 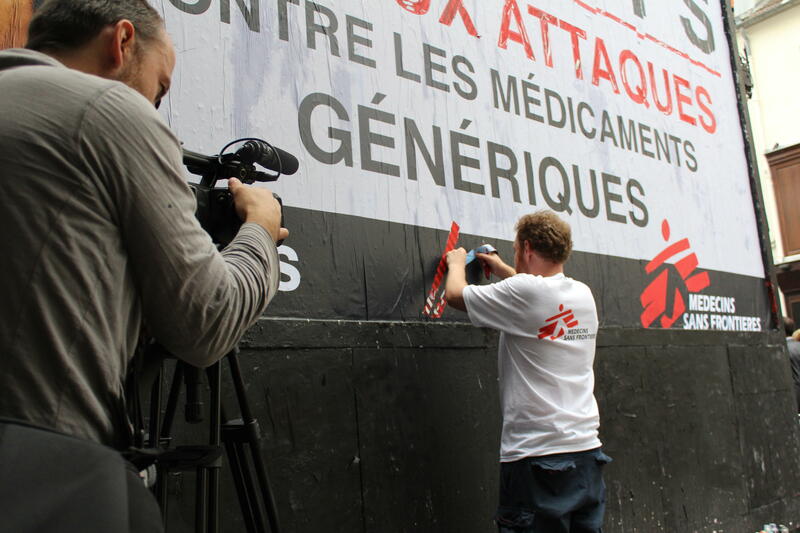 We needed to take decisive action to save more lives, and we couldn’t do it without public support. 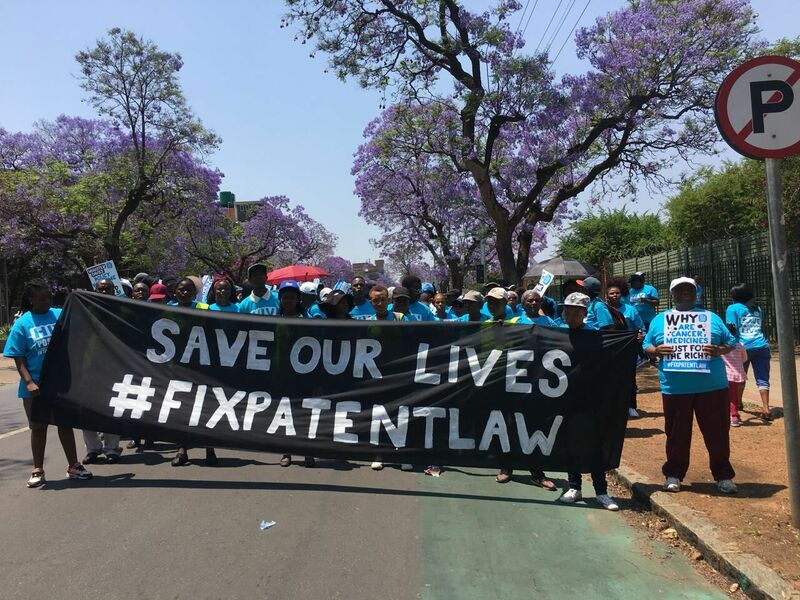 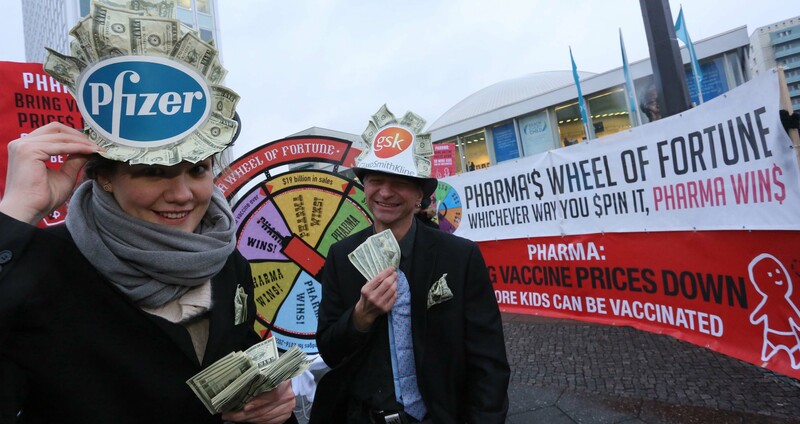 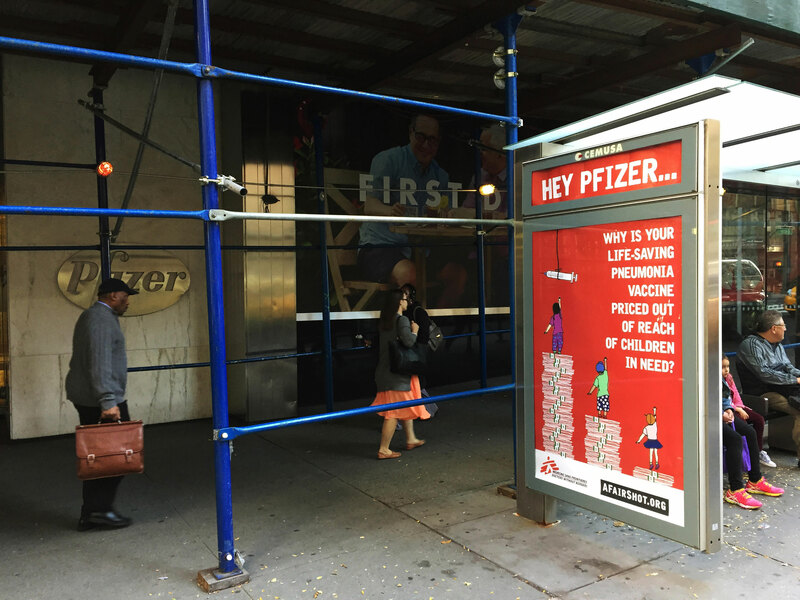 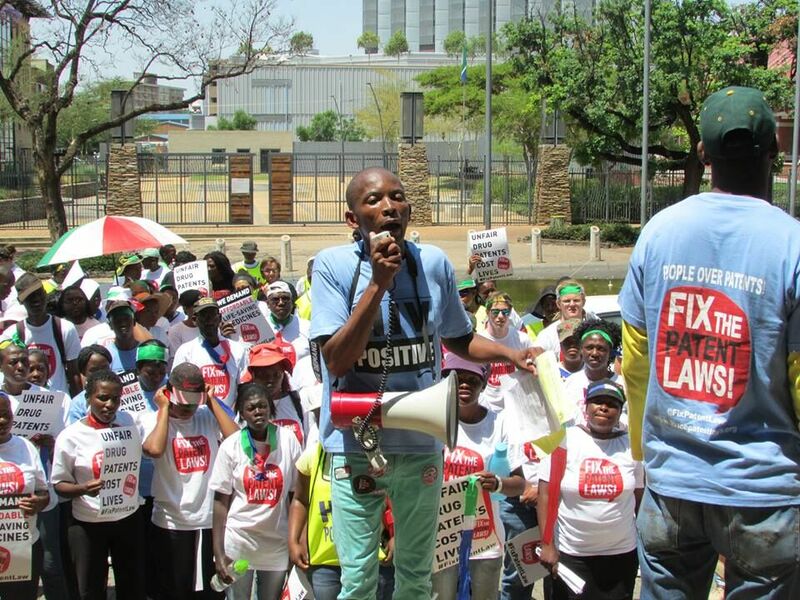 We kicked off “A Fair Shot” in 2015 at a US meeting for Pfizer shareholders, calling on the company to drop the vaccine’s price to US$5 per child for children in developing countries. 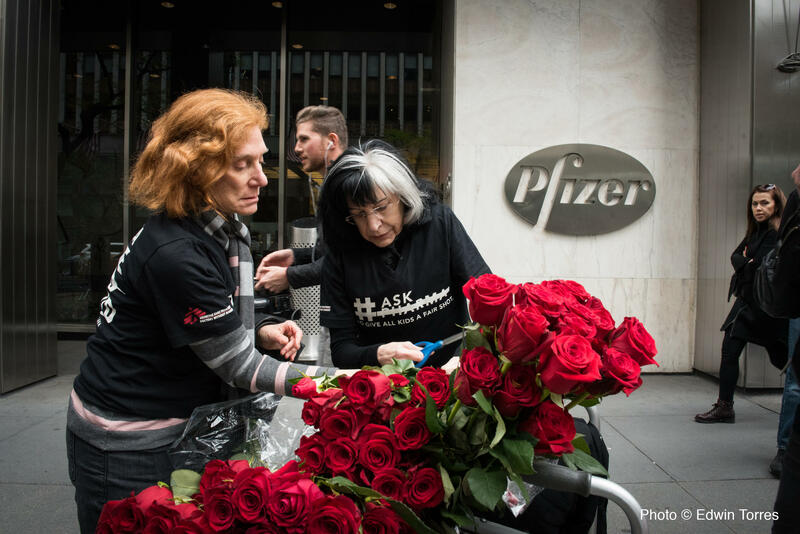 The campaign continued, using the #AskPharma hashtag online and in public demonstrations to push for an affordable price. 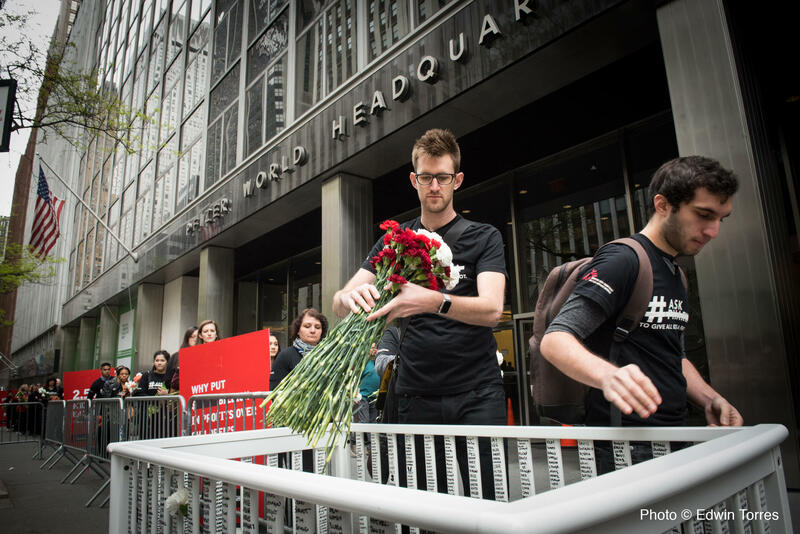 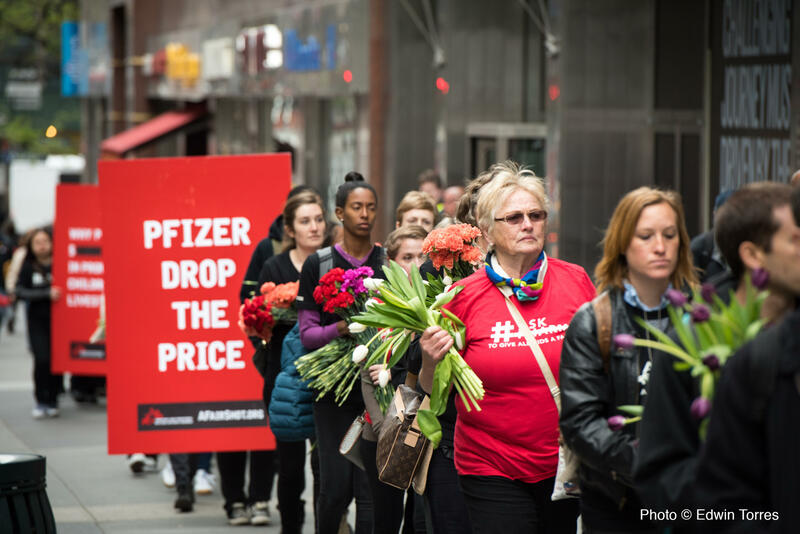 In April, 2016, at Pfizer headquarters in New York City, as protesters marched outside, we presented the corporation with a petition signed by over 416,000 people in 170 countries. 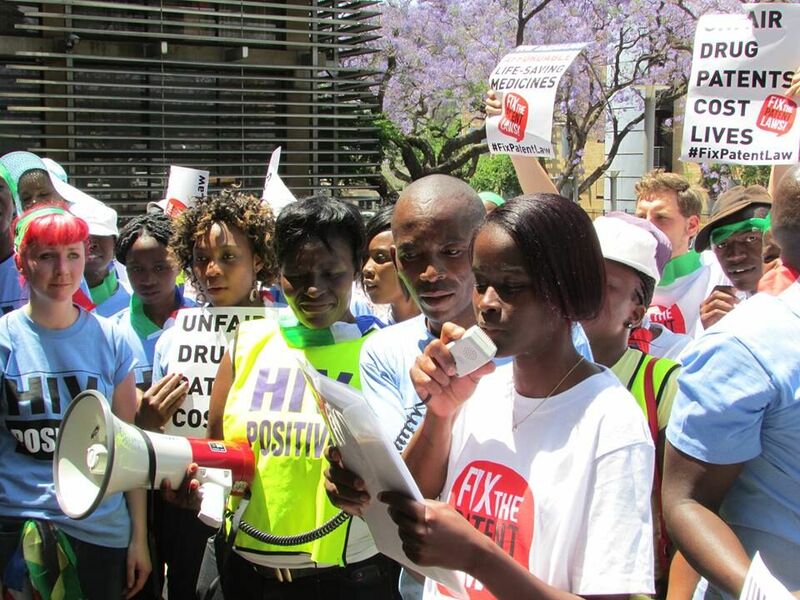 The pressure brought results. 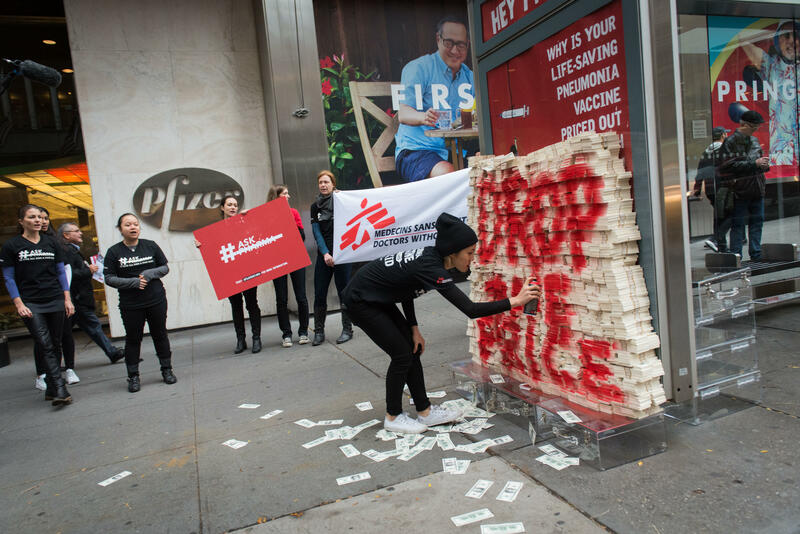 Pfizer and GlaxoSmithKline agreed in 2016 to cut the vaccine’s price for use in humanitarian emergencies. 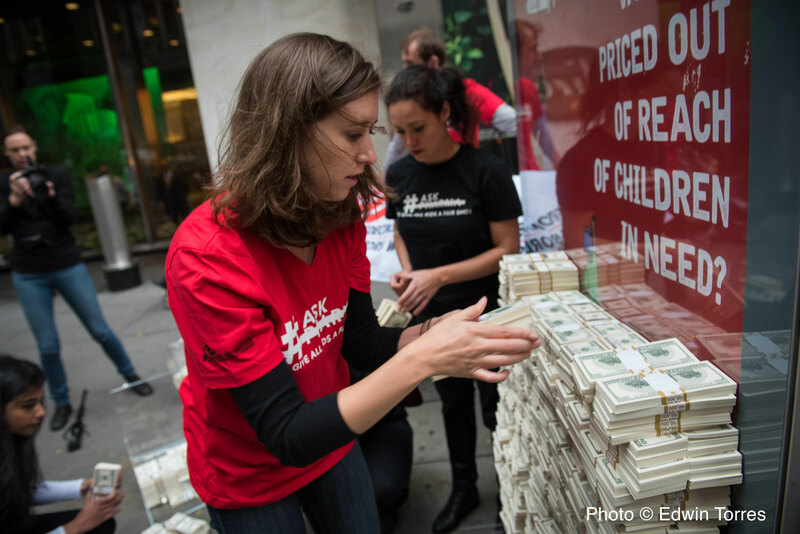 Today, we continue to push for a lower price for vaccinating all children in developing countries, whatever their circumstances. 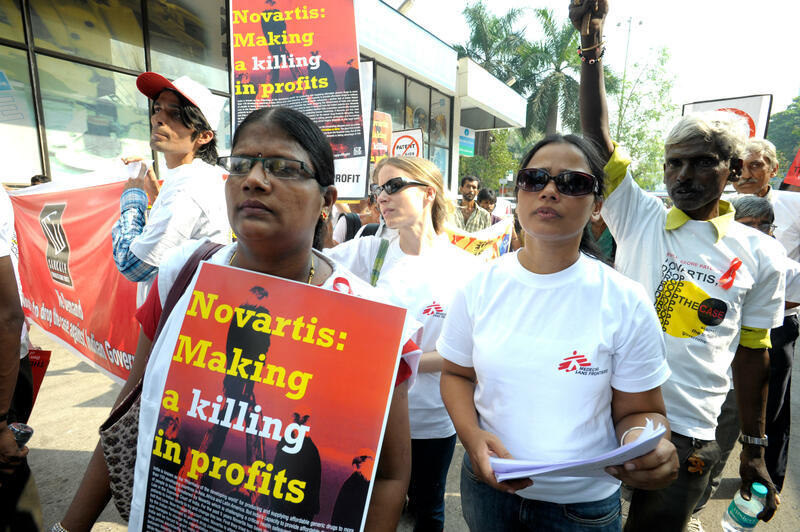 India is sometimes called “the pharmacy of the developing world,” because it manufactures so many affordable generic medicines relied on by millions of people around the world. 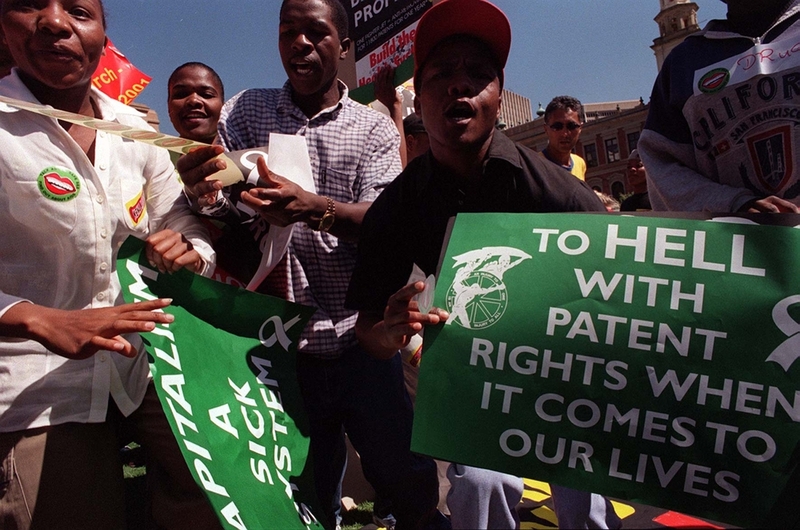 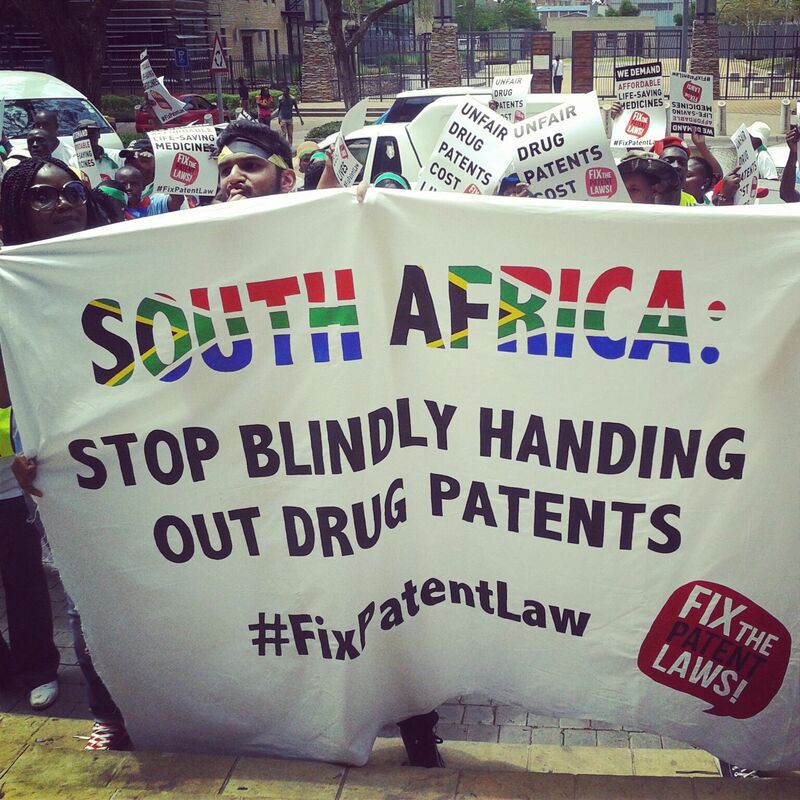 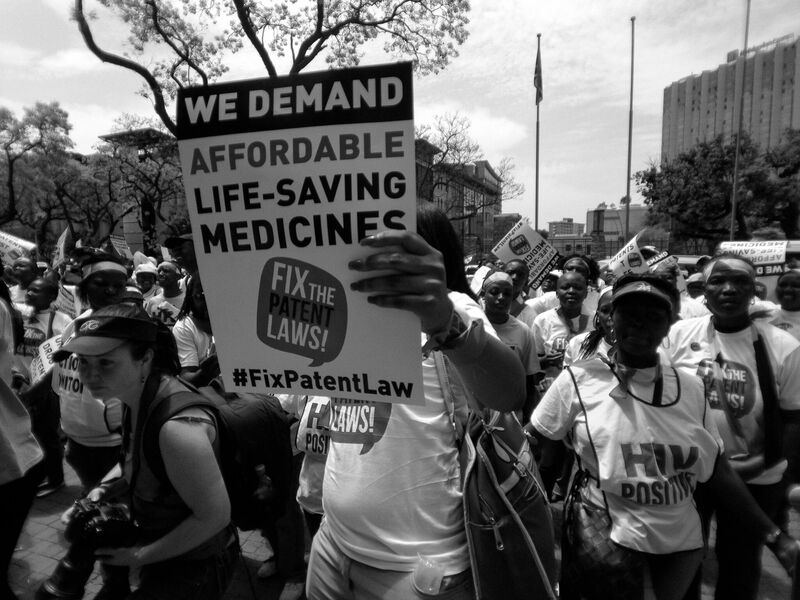 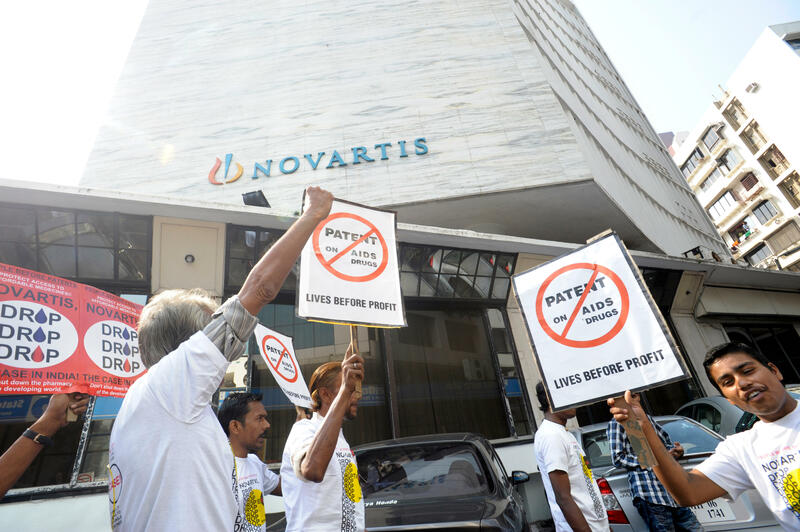 The drug corporation Novartis took the Indian government to court in 2006, seeking to change the country’s laws so that corporations like Novartis could get more patents in India, which would stop the production of more affordable generic drugs. 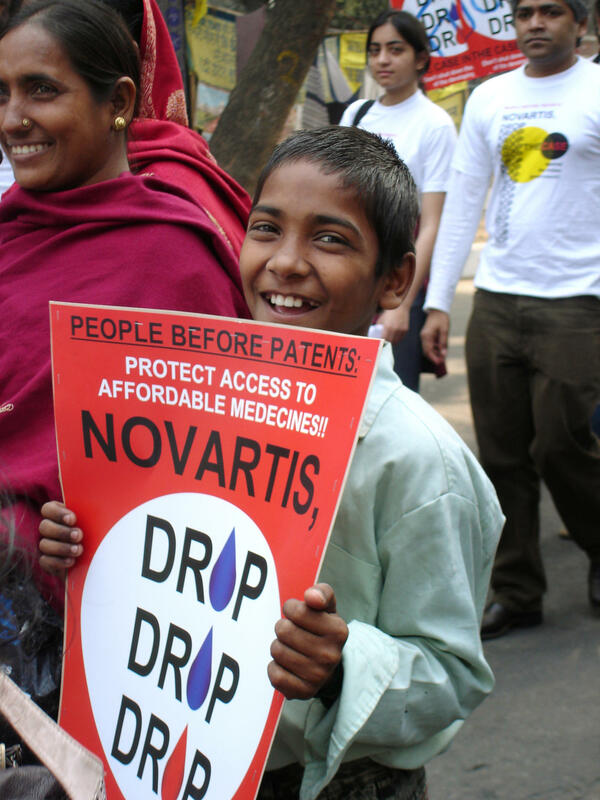 We pushed back with our Drop the Case campaign in India and around the world, bringing pressure on Novartis to reconsider. 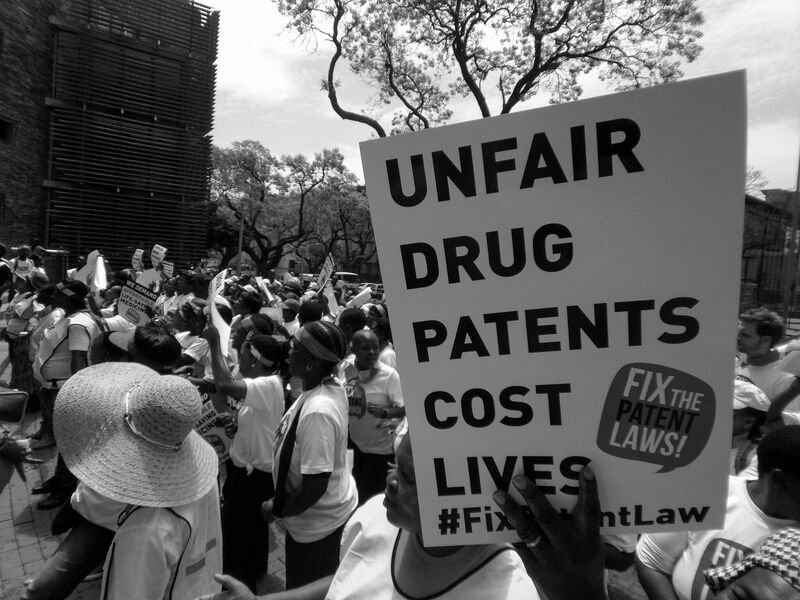 For a full seven years, the corporation refused to end its bid to shut down a critical source of affordable drugs. 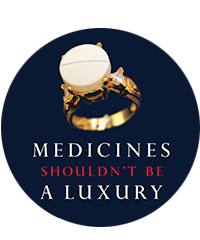 Nearly half a million people signed our Drop the Case petition, including Archbishop Desmond Tutu, author John Le Carré and former Swiss president Ruth Dreifuss. 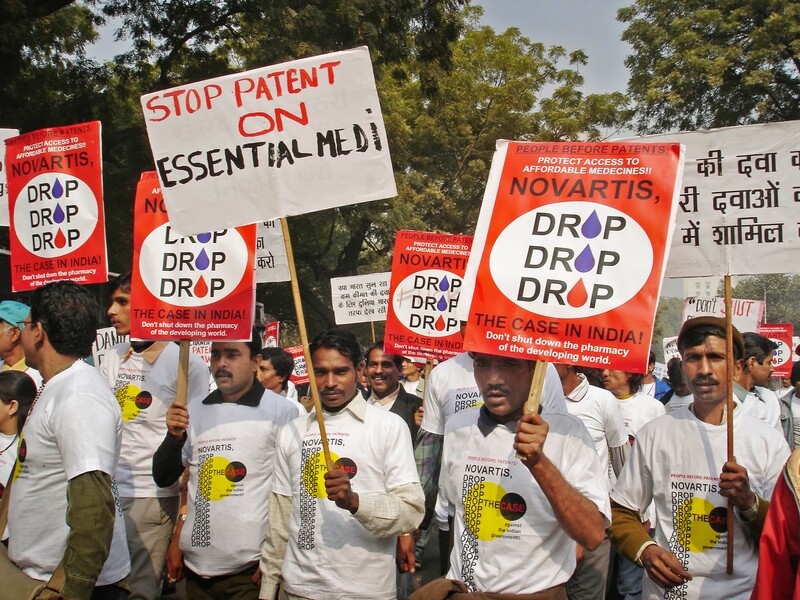 The campaign attracted extensive international media coverage and raised awareness of India’s role as a generic medicine producer. 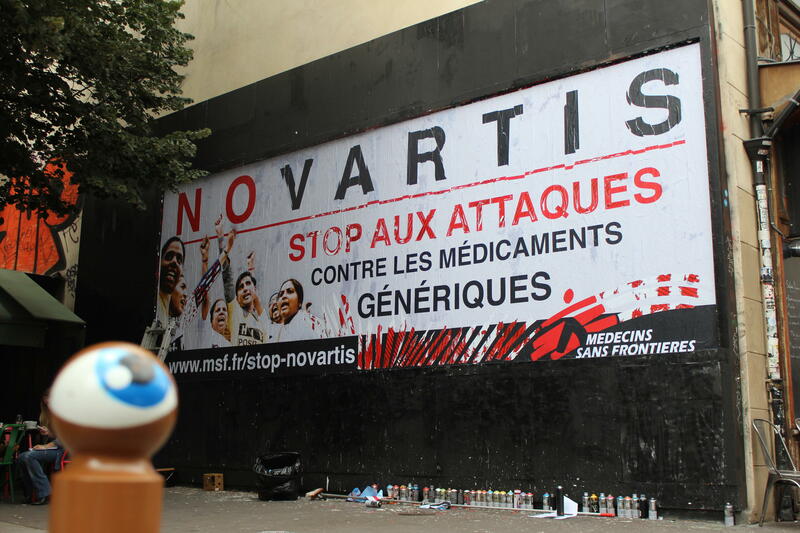 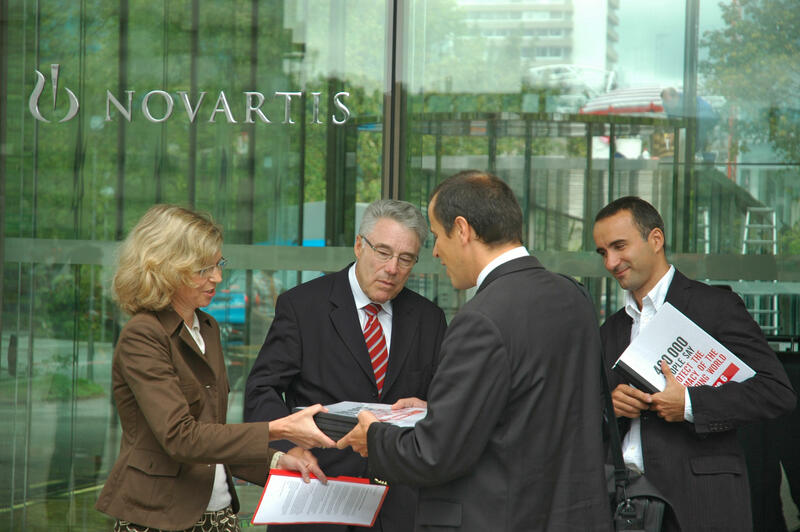 In the end, Novartis never did drop the case. 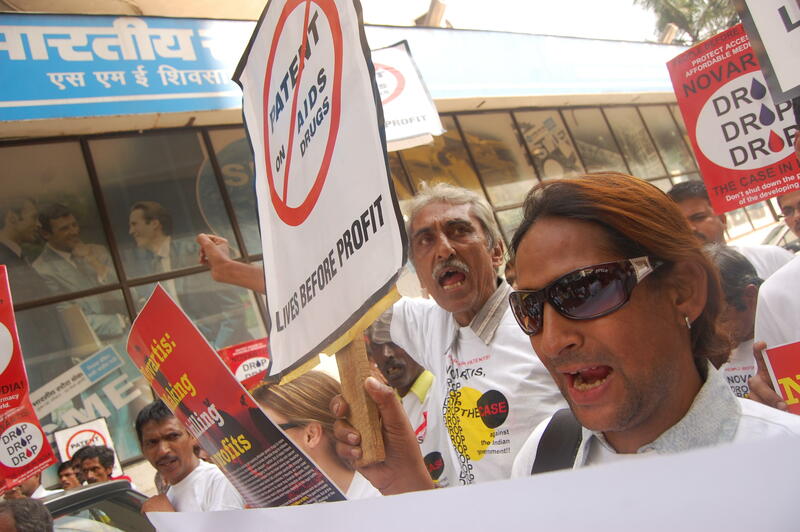 But in 2013, India’s Supreme Court ruled against the corporation. 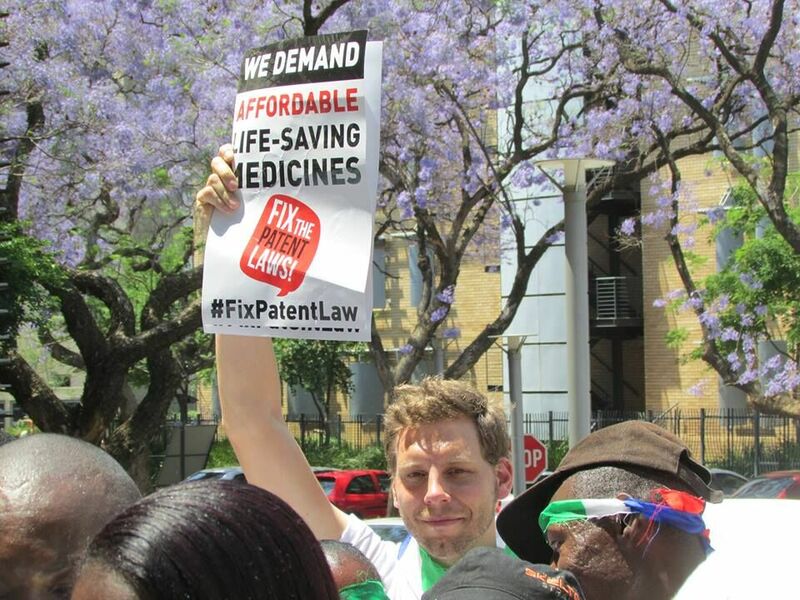 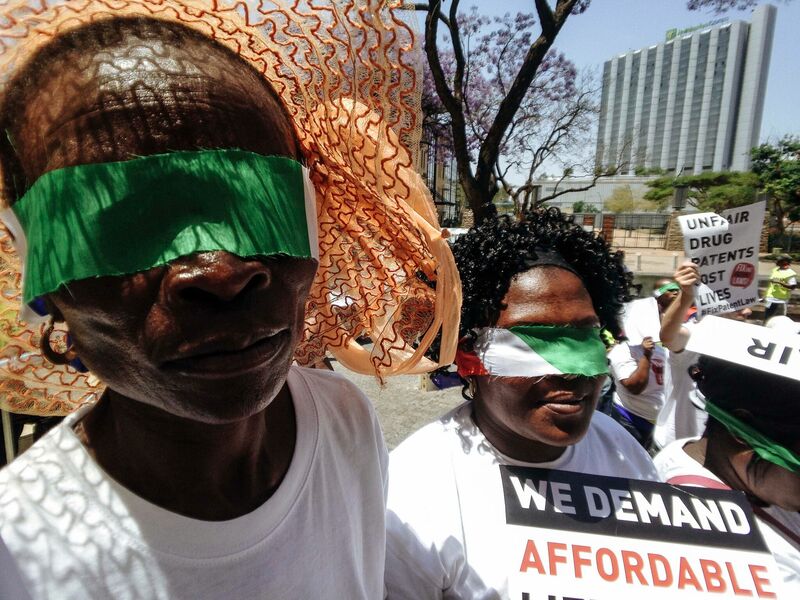 It was a major victory for people in developing countries who depend on affordable generic medicines to save lives and protect health.